Intake of plants likely cycads and ferns would be tough, fibrous and difficult to digest. 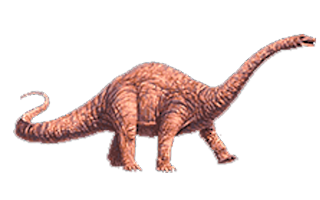 Brontosaurus had feeble teeth and would be needed a vast stomach were the food could have fermented for very long periods of time. It may have been to do with the recurring problem for all reptiles like temperature control. The bigger the body of dinosaurs is less susceptible it is to variations in temperature since a big body retains its heat for longer. Vegetation is a tough diet for many animals and dinosaurs. Sauropods were high browsers relying on the particularly tough leaves of conifers. The teeth of sauropods were simple and designed for nipping or raking foliage from trees. Stegosaurus dinosaur-Temperature control may have also been the reason for the bizarre body shape. 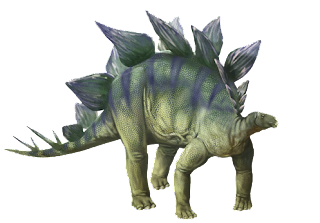 Stegosaurus had plates on its back were the people used to think as a kind of armour. But scientists have discovered that plates of Stegosaurus would have been covered by skin which was thick with blood and also acted as solar panels to heat the animal's blood.